I love crafts works. I made my first ragdoll when I was 10 as a class project for a jumble sale and made my first rag rug when I was 16. Do you know that kids can earn money online too? 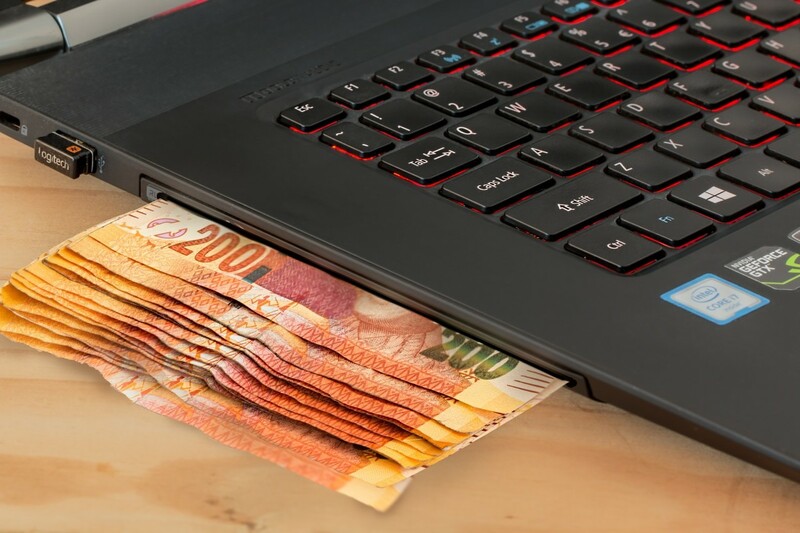 Earning some money on the internet has become so widespread that within another decade, almost anyone will have to ability to earn a bit of money or even an income. And some smart kids have joined the earn-money-online train, learning entrepreneurship at a young age. While some online opportunities are not age-specific, you will find that there are many online money-making ventures, that kids can’t venture into until they are sixteen. But the good news is that there are jobs you can do in your spare time, even if you are not yet sixteen. If you are under sixteen, you can earn money in a number of ways, but first, you’ll need an adult's consent, and in some cases, expect some form of parental supervision. If you are over sixteen, there are more online jobs you can do. Some may require minimal supervision, but with most, you can go it alone. You must be prepared to work extra hard for every extra money, but you must also approach it more as a hobby, or something you absolutely enjoy doing. There is a lot of hard work that goes into earning money either online or offline, and it doesn't matter if you are a kid or an adult, you'll have to start off being inspired then make sure you are patient, then work persistently at whatever you choose to do. Allowing kids under sixteen to earn money online is a great idea but it requires adult supervision. They must be overseen and monitored. The internet is a global community, and just as in any community, you wouldn't let your kid wander around aimlessly in the community without guidance. You should check periodically to make sure they are not using any illegal means to make money on the internet. They should also be observed, to guard against them getting obsessed with making money online and thus neglecting their studies. Earning extra cash by themselves will serve as a foundation for a future where they will have acquired the ability to handle financial challenges on their own. If you are under sixteen, before you decide to earn money online (or offline), you must understand that you can only work in your spare time. An online job must not affect your school work in any way. Secondly, you must get adult consent, and this is equally important. And if you are a parent and you’ll like your kid to learn some money-making skills or simply learn how to make some pocket money, here are some ideas to consider. Whether you are creative or not, you can do this and earn good money online and even offline too. Designing and selling t-shirts online for money is not so hard but you will need to learn how to use a T-shirt design software. Sounds difficult? Not really. 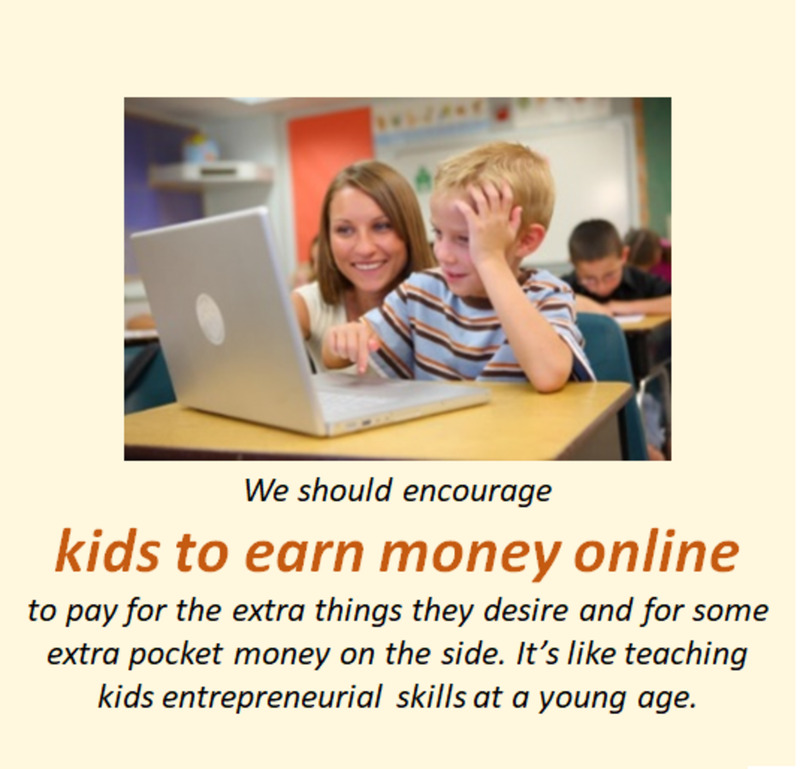 Kids who earn money online can earn in two ways. 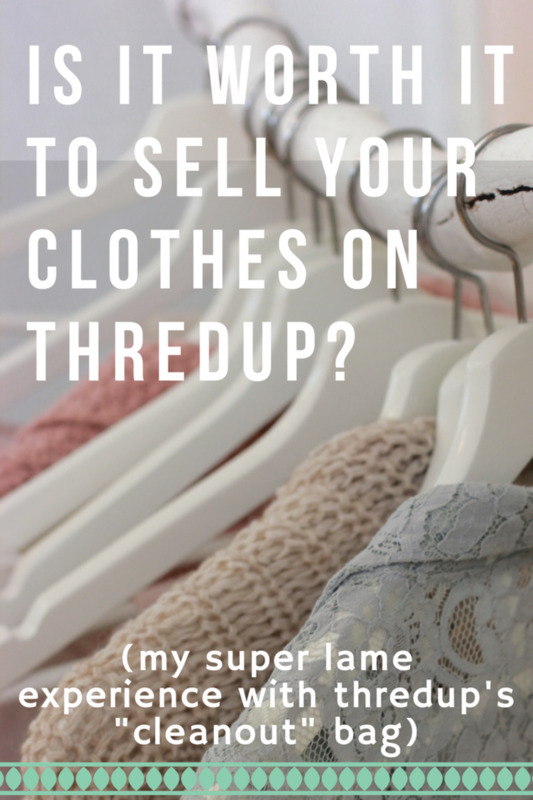 Sell your designs by uploading them to a marketplace like SpreadShirt, it’s free. Creating your designs is not hard and can be anything from cartoon-like characters to doodles any other simple type of sketches. You can learn to use simple software like Microsoft Paint to create your designs and have them printed on t-shirts you can sell online or offline. Your parent or an older sibling can help you out with transactions, and how to get the money you've earned. If you are over sixteen years, you can open your own free T-Shirt store online and sell not only tees but caps, hoodies, mugs, phone cases, sportswear, sweatshirts and more. People who buy from you will come from all corners of the world, from New Jersey to New Zealand. When they buy from your online store, it’s at the click of a button. Additionally, creating an online store means you can sell your products to other kids at school or the people in your neighbourhood. This may appear like an offline job for kids, but it involves some online buying too. For as little as a $15 investment, you can make money by selling candy at school. This is a good example of "physical" selling offline. With your little investment which you can loan from your parent or relative, you can buy large variety packs of candy (or other edibles) online from major wholesalers like Costco or Sam's Club (Macey's costs a bit more). You buy wholesale and sell the individual pieces at the regular market prices, less a few cents if you wish. A kid can earn money by doing this, every school day, five days a week. You can also sell games and cards to your schoolmates because many kids love games and cards and will willingly buy from you. There are games companies that will offer their affiliates a free store to sell their products. eBay and Amazon are two large companies which allow you to sell their products. You must be eighteen to be able to join Amazon or eBay, so again, you’ll need the help of an adult to set up an account on your behalf. There are many freelancing services out there and depending on your reading and writing skills, and what you've been asked to write about, you may be qualified enough to write for people online or even offline. Some young kids who are 7th-grade level and above can write and get their messages across. Complex writing may not be necessary as long as there are no typing errors, the grammar is fine, and you get the points across, which is primarily the main goal. There are students who need to write out their essays or do a report on a school project and they may need your help. It shouldn't be for free. You can use your expertise as a good writer to create reports on a subject you are passionate about and sell them online for some small profit. The reports need not be more than 7 to 20 pages long and should only contain content that young people or other kids can use. 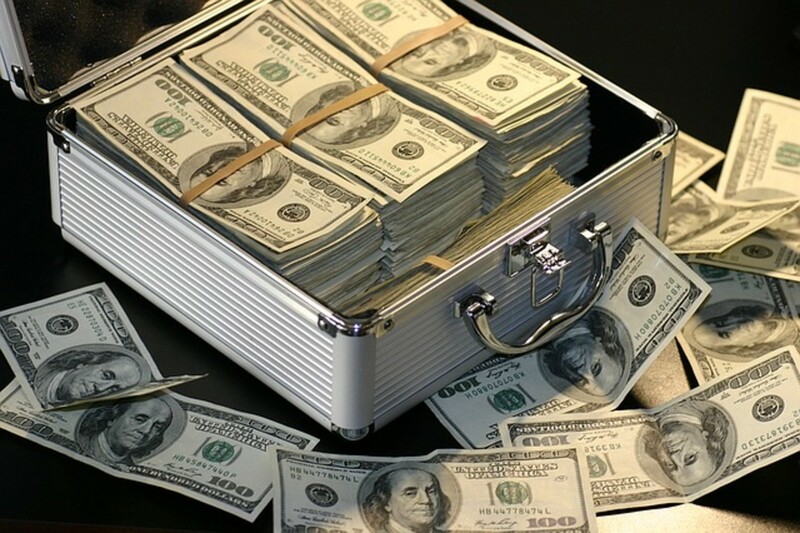 You can make money online filling out paid surveys. It is one of the easiest online jobs to do and you need zero experience to do it. If you do surveys consistently, you will always earn a bit of pocket-money on the side. Both the young and adults fill out paid surveys every day and this is a legitimate opportunity for you to make at least $2 an hour, depending on what goals you wish to achieve. With some online survey sites, you also earn free stuff for your opinion about their products and it can involve anything from games and gift cards to packs of edibles. It's very easy to do a few surveys each day and it takes roughly a quarter of an hour to complete one. Know which websites to use and how to use them and if you need guidance on how to succeed in paid surveys, you may want to try reading a guide on how to take paid surveys to make extra cash. Yes, it's true, you can earn pocket money teaching or writing essays for other kids online or offline. Today's younger generation are more computer savvy, and they are technologically smarter than their parents and grandparents. were their age group. So, when it comes to using computers, notebooks, and smartphones, being on the internet is like being in a second home. The older kids can actually tutor other kids’, and some are known to offer tutorials to the older generation, teaching them how to use the internet, apps, and any operating system. Making money by offering tutorials online may require that you source for initial financing to buy a good quality headset and webcam. Here is where your parents or relations can help you out in order to start your tutoring business online. You can always pay them back from your earnings. If you want to spread the word about what you do, make some flyers and distribute them in your locality. Your grandparents or elderly relations can also help advertise your skills among their friends and acquaintances. It is certain they will love to do you that favour. Who said online selling was only for adults? If you are over eighteen, you can sell on eBay. Though eBay doesn't allow minors to set up an account, your parents can create an account for you. Once the account is set-up you can start to create items such as handmade crafts, artworks, t-shirts with your designs, caps, mugs, and simple stuff like these. There are always some people out there, anywhere in the world, that will like your products and some will buy. If you make crafts like rag dolls, beaded bracelets, paintings, or pottery, you can put them up on eBay to sell. Discuss your creative abilities with an adult and ask them to please show you ways to translate them into cash. You also sell your used or unused school supplies that you no longer need on eBay. You can also sell toys and stuffed animals you've outgrown, as long as they are in great condition. 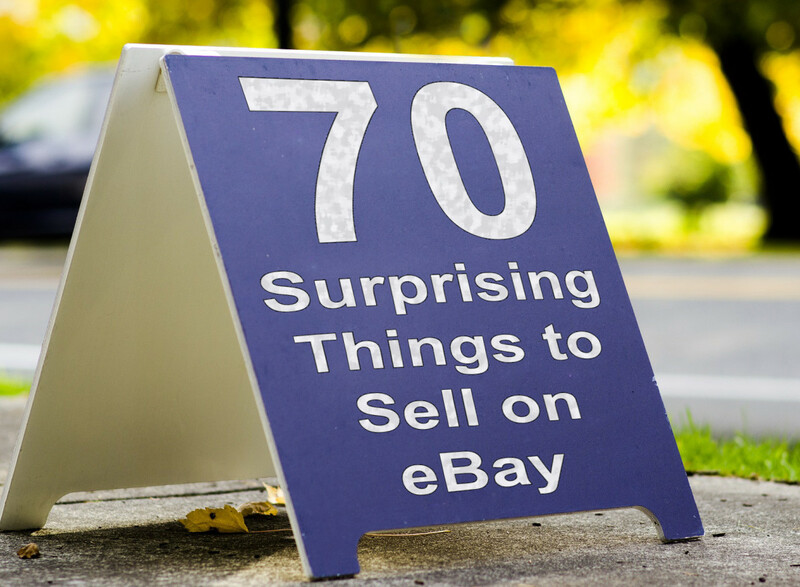 If you have gifts you got at Christmas, for instance, sell them on eBay too. Basically, presents, supplies and unwanted items, are some of the things that can be sold online. You can also sell items you find in garage sales, boot sales, garden sales, thrift stores, or any other items you can get at giveaway prices. Some kids make money online testing new video games. 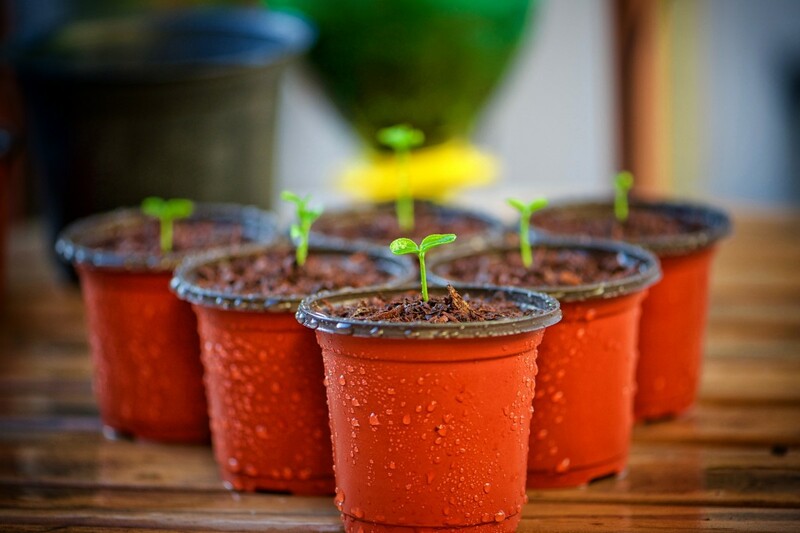 Starting early to learn entrepreneurial skills has its advantages and working for about a couple of hours each day means spending less time watching television, playing video games, or generally being idle. The feeling of earning money for themselves will boost their confidence even further and help them learn to become future entrepreneurs. Who knows, a kid that is inspired to do these may become the next young millionaires. It does happen. Parents or mentors can further check online websites or books that write about ways for kids to make money online and discuss the possibilities with them. Would you allow your kids to make some money online? How do I make designs on t-shirts? Thanks for the Visit. Your Views are Welcome. Some great ideas. I found offering tuition to children the most interesting.
. . . and growing up with smart entrepreneurial skills makes for a brighter future. Good thing too, kids of today seem to be quite enterprising and are always looking for ways to earn extra money. Awesome Tips. Every little helps in the family and it's a good foundation for them. They will appreciate the value of money too. I particularly like the Private Tuition and Freelance Writing. You can design T-shirts online with your own designs, and sell them on eBay. Thanks for Sharing. Please visit my web for top many making affiliate.. Thanks Pete, and thanks for visiting and leaving a nice comment. I like the idea of kids earning money by offering tuition. This is such a great idea because I think the kid that is struggling with the work could be more responsive to being taught by one of their friends who they know and trust. It could also inspire them to improve if they see what the other kid is capable of. I really like this, thanks. I say wait til your 16 then get a job. What dumb kid will want a job or buissnuss when they can do chores. I find it dumb. Kids should be focusing on school and after school activitys. Hi John, thanks for the visit, and for leaving a comment. Hope this helps. Socialat, thanks for your nice comments. Will surely visit your blog. I hope kids and parents find it useful. Very well described. I'm sure many kids will follow your ideas to get their pocket money. I have listed 16 Ways for Kids to Make Money in my blog. Leave your response. Thats right Sunnyglitter, and its not a bad way to keep them occupied during the holiday months. These are great tips for kids to make money online! Hi dr.amit, im glad you found this interesting and from what you tell me, it seems you are on your way to earning great money online. That's fantastic. Goodluck in all your endeavours, and thanks for the visit. You've describe all the money making methods. And I love it all. I'm also working on many paid survey companies and in Adsense for more income. Try this site Princess Twinkle. Hope it helps. with the freelance writing where would the children sell it ??? Thank you for the nice comments hubpagewriter. Glad you like it. I like what you have written here. Very useful and informative..thanks for sharing..